You are on a busy evening shift in resus. An 88 year-old man is brought in by ambulance with chest pain. 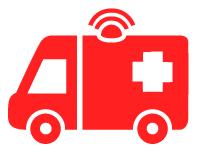 The nursing staff have recorded initial observations, obtained IV access and got an ECG whilst you referred your last patient to the medical on-call team. Not much history is available from the patient but he is alert and can tell you his name. The patient’s daughter arrives shortly after him and says that he woke up in the early hours of the morning with sharp chest pain and nausea. His wife heard him collapse in the front room and he was unconscious when she found him, but he quickly became fully alert. On direct questioning the pain was central, sharp, non-radiating and has now completely settled following the IV opioids given by the paramedics. He is nauseous but hasn’t vomited, and has no other symptoms. He has never experienced anything like this before. 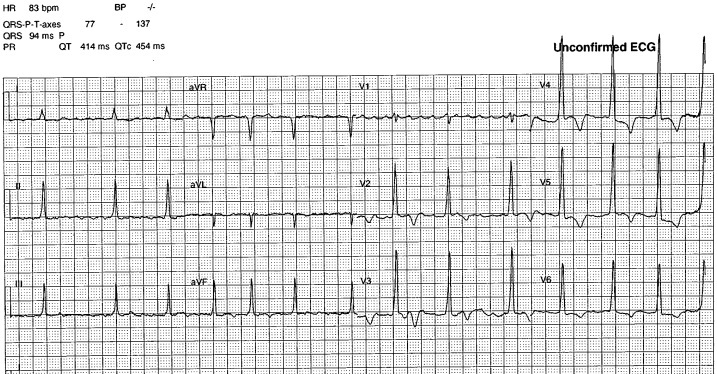 He has hypertension, for which he is on regular ramipril, but no other significant past medical history. He is a lifelong non-smoker. 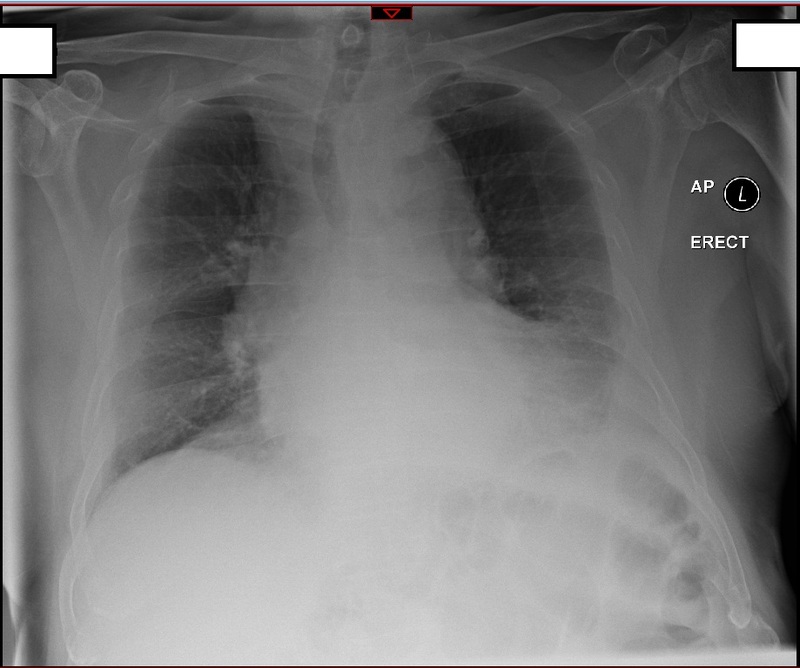 Impression: Wide mediastinum, right tracheal deviation, possible left pleural effusion. 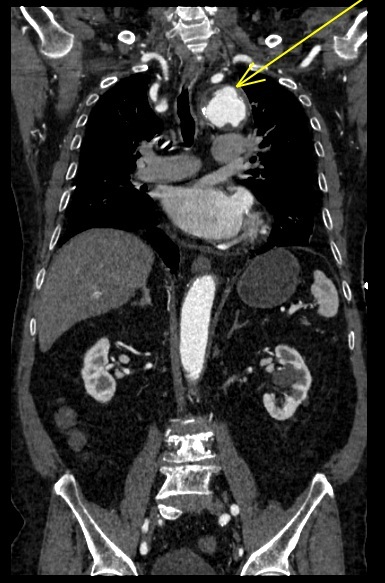 CT aortogram report: Aortic intramural haematoma. You start on a labetolol infusion to maintain systolic BP <120mmHg and HR <60bpm. The patient gets admitted to coronary care for further blood pressure control and, after a long discussion between the patient, the on-call cardiothoracic team and the cardiologists, the patient opted for conservative treatment. Ultimately, after a 2-week stay, the patient walked out of hospital with outpatient follow-up surveillance with the cardiothoracic team. 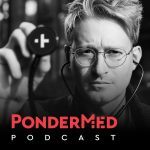 The patient presenting with chest pain is nothing unusual for ED docs – it’s arguably the most common presenting complaint. Especially on busy shifts, it’s very easy to anchor one’s thoughts to the more familiar pathologies – ACS, PE, pneumonia etc. When you hear hoof beats think horses not zebras. But, awareness of the existence of zebras (or at least Shetland ponies) is vital to avoid missing crucial diagnoses. In the case described anti-platelet therapy and traditional NSTEMI treatment could have had catastrophic consequences. Dissection is defined as bleeding into the medial layer of the aorta through a tear/ulcer in the intima. It is the most common of the acute aortic syndromes. There is an intimal flap with the creation of a true and false lumen leading to increasing vessel size. It can be sub-divided by anatomical location using the Stanford criteria. 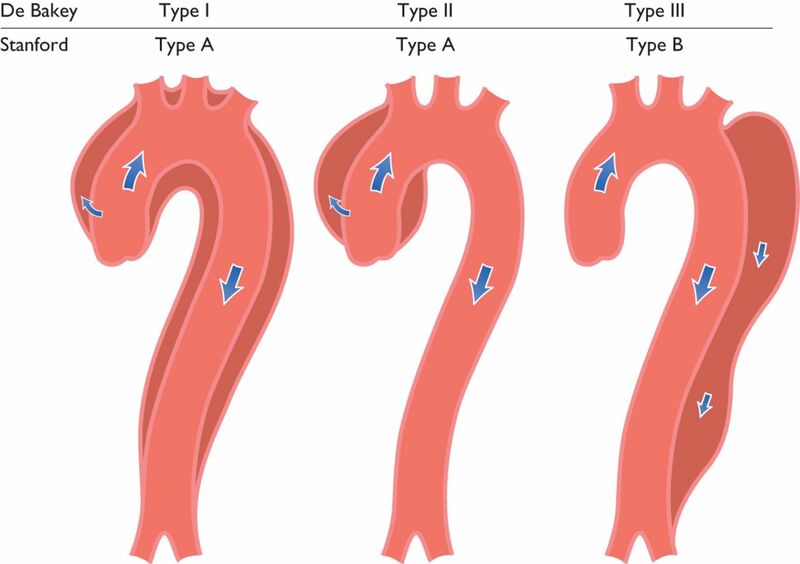 Type A dissections involve the ascending aorta and Type B dissections are distal to the left subclavian artery. Type A has a significantly poorer prognosis and should always be considered for emergent operative management. Type B can often be managed medically if there are no signs of malperfusion distal to the dissection. An aortic atherosclerotic ulcer is, as the name suggests, ulceration of the intima due to atherosclerosis. The ulcer penetrates into the media and can lead to dissection formation. Intra-mural haematoma is considered a variant of aortic dissection. There is haematoma formation as a result of rupture of the small blood vessels supplying the wall of the aorta – the vasa vasorum. There is no intimal tear, but the haematoma propagates along the medial layer of the aorta and weakens the vessel significantly. Outward rupture of the aortic wall – always fatal. Inward rupture of the intima – leading to classical aortic dissection (i.e. communicating true and false lumens). Much like typical aortic dissection, aortic intra-mural haematomas are classified according to the Stanford Criteria, and managed in a similar pattern (i.e. Type A is usually managed operatively). The case described above was a Type A aortic intramural haematoma, but was managed conservatively – this is unusual. The patient recovered well and walked out of hospital, highlighting the fact that all patients are different and should be managed on an individual, case-by-case basis. They don’t always abide by the textbooks/guidelines! Aortic dissection has a reported incidence of 6/100,000 in UK based population studies (2). Total mortality has been reported as high as 47% (1,2). Medical management focuses on adequate analgesia (usually titrated opioids) and reducing shearing forces in the aorta by intensive blood pressure reduction and reduced contractility of the heart. IV agents which can be rapidly titrated such as Esmolol or Labetalol are ideal for this (3). Urgent discussion with a cardiothoracic surgeon regarding suitability for operative management is imperative for all patients with aortic dissection. For patients with a Type A dissection, 1 month mortality of 90% has been reported with conservative management. However, surgery carries the risk of neurological deficit and severe long-term morbidity, especially in patients over the age of 80 (4). It is crucial to consider a broad differential diagnoses in patients presenting unwell with chest pain. With multiple patients presenting similarly on the same shift it can be easy to be anchor towards common diagnoses, and overlook rarer underlying pathology… like acute aortic syndrome. In cases of aortic dissection the majority of patients will have ‘classical signs’ of ripping chest pain on a backround of hypertension. However, a significant minority of cases will present atypically, with normal immediate investigations. Particularly in the elderly with very severe chest pain, try to maintain a high index of suspicion. Wrongly diagnosing ACS could be fatal. 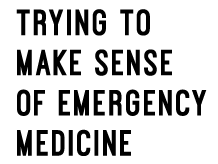 The majority of our work in the ED will always be the ‘common stuff’, with well established protocols and pathways. 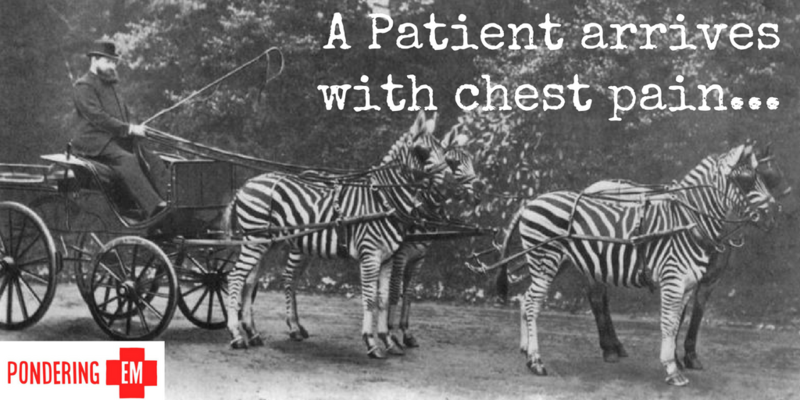 The mark of a good emergency physician is the ability to approach each new patient with an open mind, and always remembering to consider the rarer pathologies (zebras) if things don’t quite fit.